Fleece-lined for tackling the cold, forget about the hard hits as there's a much softer side to the Canterbury Team Hooded Rugby Sweat in Marl. 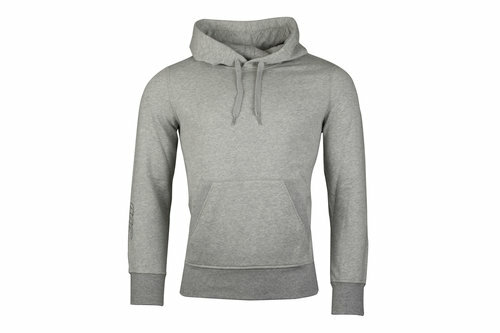 A leading name on and off the pitch, Canterbury have created this hooded sweat from a mix of cotton and polyester. At the heart of the design is an exceptionally soft fleece lining that's joined by an elasticated waist and cuffs to aid heat retention. Drawcords on the hood and a kangaroo style pouch allows you to carry a few items or for keeping your hands warm. Sporting a Marl look, the only addition to this top is the slate grey CCC logo which is printed on the right forearm.